The L300 single function printer is compactly designed to take up lesser space than its predecessor, so that you won’t have to worry about finding space for it. 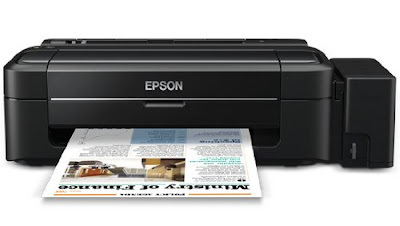 Each purchased bottle of Epson black ink yields up to 4,000 pages. The L300 is bundled with four bottles of ink (Cyan, Magenta, Yellow and Black), plus two additional bottles of black ink to deliver up to 12,000 pages (black). The L300 is equipped with Epson’s proprietary Micro Piezo print head technology driving a high resolution of 5760 dpi x 1440 dpi that delivers exceptional prints for both text and images.